Conor McGregor transcends the sport of MMA. Since his arrival in the UFC, he has dominated the public face of the franchise and has drawn much attention from that other combat sport, boxing. Following McGregor’s welterweight loss to Nate Diaz at UFC 196 last March, persistent rumours of a giant McGregor v Floyd Mayweather clash spread throughout both sports. 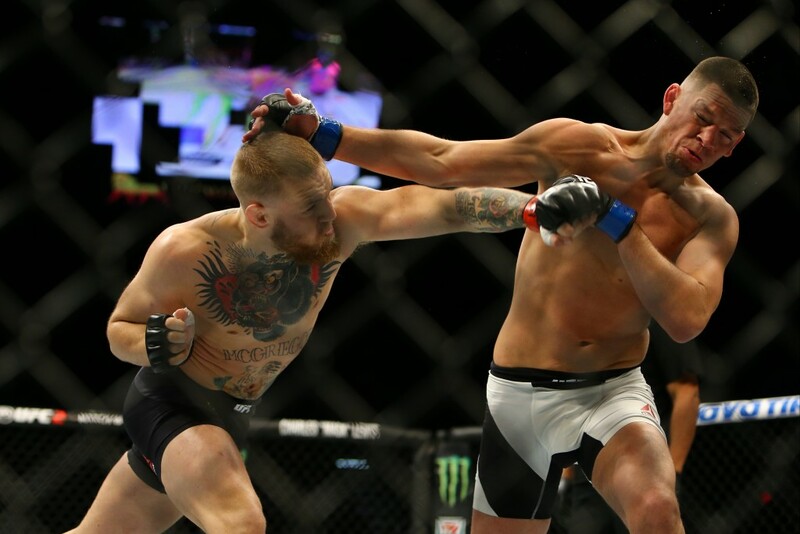 However, of late, with McGregor set to face Diaz once again in UFC 202 next month, talk of a fight has died down. Now, according to flocombat.com, another boxer, former WBC welterweight champion Amir Khan, has spoken of his willingness to fight the UFC featherweight champion. The difference with the Mayweather ‘publicity stunt’ is that Khan is ready to do it in the octagon, under MMA rules. “I don’t think Mayweather would want to fight under MMA rules. I look at it more as a publicity stunt. People were talking about it. It worked while it lasted, and they brought the hype up. According to Khan, if he had a year to focus on MMA, he would then be ready for the cage and McGregor. While MMA fans will likely roll their eyes at another looking to piggy-back on the hype of McGregor, credit must be given to the English fighter for his willingness to switch codes to face the fighting Irishman. Will we see a fight happen? Like the Mayweather fight, it is pretty doubtful.